Following the disappearance of the head of the local secret service station in Jamaica and his assistant, M send James Bond to investigate. 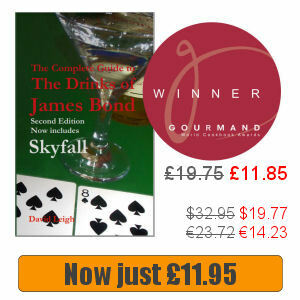 Bond quickly teams up with the CIA’s Felix Leiter and with the help of the CIA man and his local hand, Quarrel, Bond follows up a series of leads. His investigations point him towards Crab Key, home to the enigmatic Dr No, and he and Quarrel set sail at night to investigate. 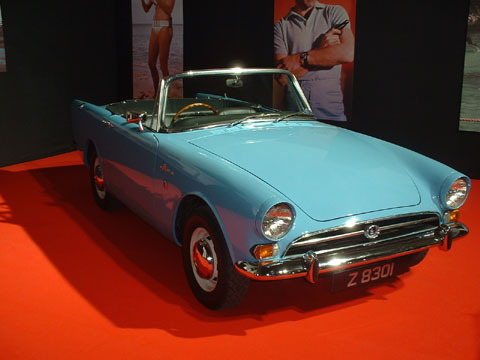 After arriving, Bond awakes to find a bikini-clad girl collecting shells on the beach. It turns out that Honey Ryder also sailed overnight, but alerted by the sail on her dinghy, Dr No sends a motor patrol boat to deal with the trespassers. Disappearing into the mangrove swamp, the three come face to face with a march buggy armed with a flame-thrower dressed up to look like a dragon. 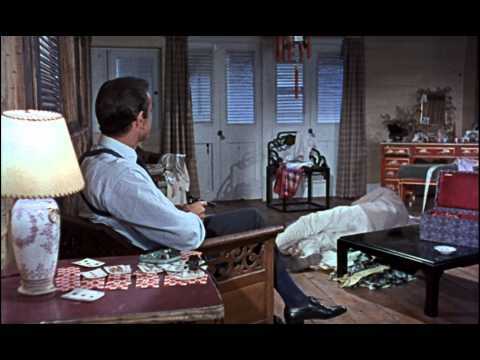 After seeing Quarrel being scorched to death, Bond and Honey are taken to Dr No’s base after surrendering, where the two are surprised to find they have been expected in what appears to be some kind of luxury clinic. After dinner with the Doctor, during which he reveals that he has been interfering with American missile tests on behalf of SPECTRE, Bond is taken to a cell. 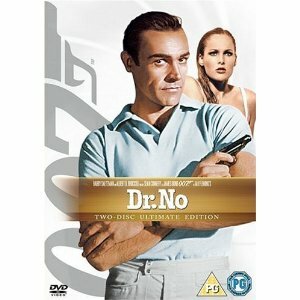 Escaping though a ventilation shaft, Bond tracks Dr No down to his laboratory and kills him. While a chain of gigantic explosions begins to rock the complex all around, Bond rescues Honey, and they make their escape from the island in a boat. Connery’s hard edge, flawless delivery of one liners, a simple plot and absence of gadgets all work in the film’s favour and with a freshness that has evaded the series since Goldfinger, Dr No remains one of the best Bond films. 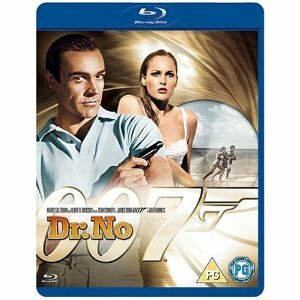 Dr No is often overlooked, but it sets many of the elements in place for the later James Bond movies and Ursula Andress’ appearance on the beach is now an iconic screen moment. 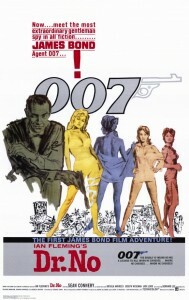 Although it features the James Bond Theme, one notable thing lacking is the “Bond sound”, first introduced by John Barry in From Russia With Love. 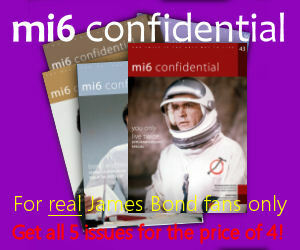 Buy a Dr No Poster or print. 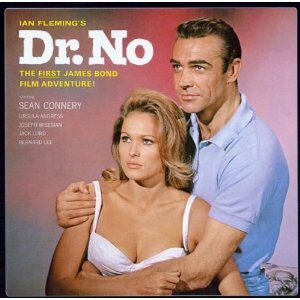 Read more about the Dr No Soundtrack or buy it online.